While in SC, I spent some time at Huntington Beach State Park near Murrells Inlet. What a great place! It has three miles of beach with nesting Wilsons plovers and lots of sea and shore birds. But what’s really fun is the causeway as you enter the park. On one side is a freshwater lake complete with alligators, osprey and eagles, and the other side is a very active tidal salt marsh. 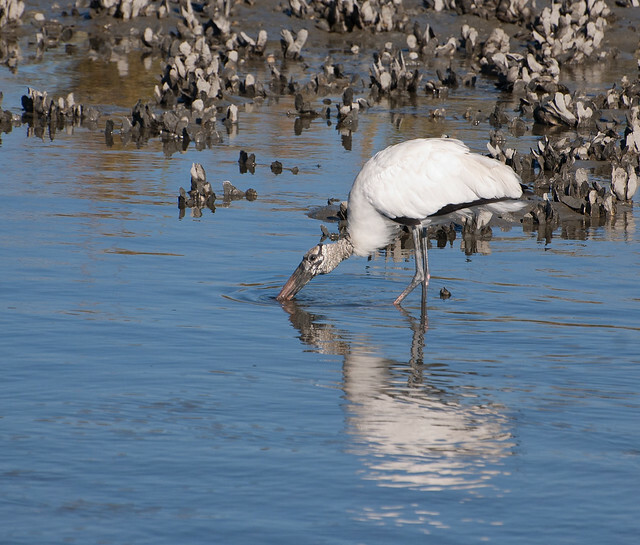 Today’s pictures are from the salt marsh – many of birds fishing at low tide. 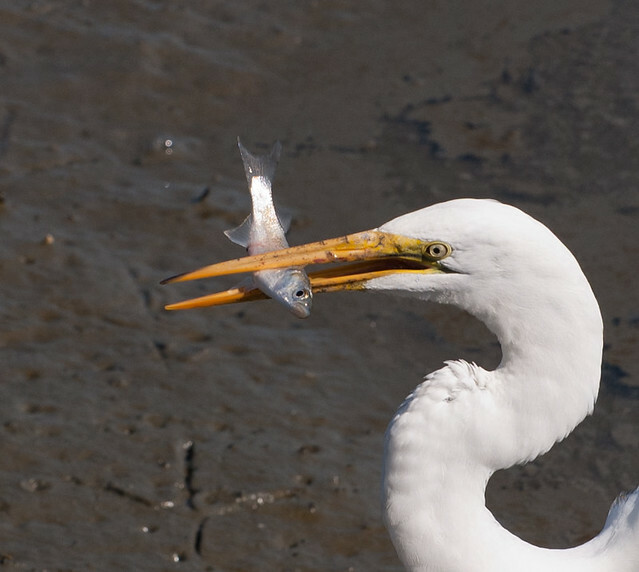 The great egret and snowy egret have very different approaches to fishing. 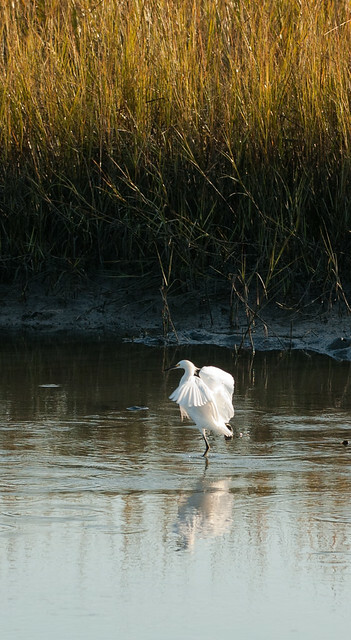 The great egret is generally still and quite focused – extremely sedate compared to the hyperactive snowy that races around, flapping its wings and jumping about. 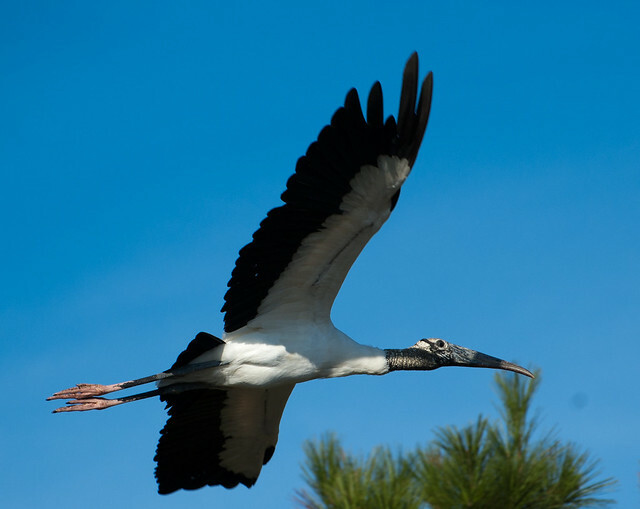 There were about 200 wood storks feeding and roosting in the park. They would feed at low tide and head to the trees in the sun at high tide. It was quite a spectacle when a flock would pass overhead. A face only a mother could love! 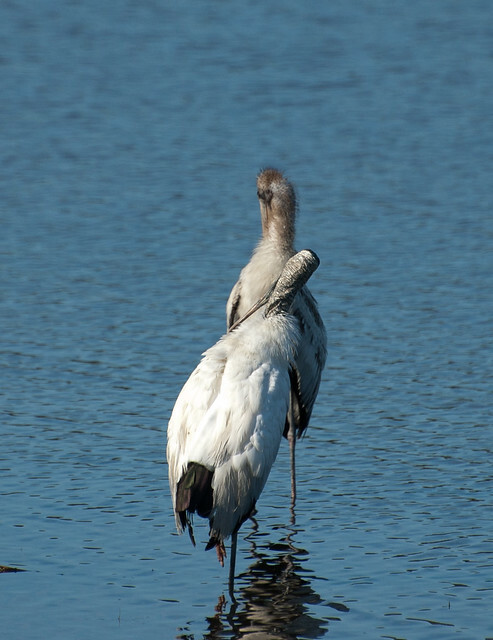 The immature wood storks had some fuzzy feathers on their head, as shown in the following picture. 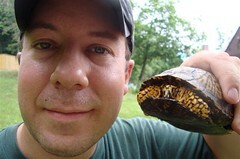 This entry was posted on 1 November 2012 by patacoate. 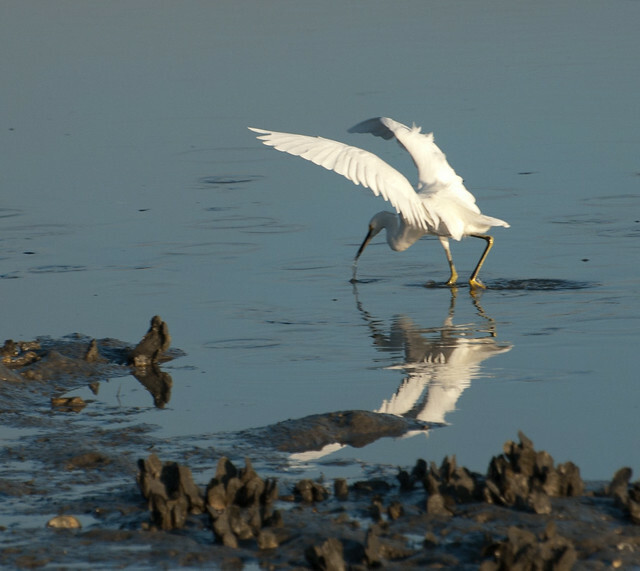 It was filed under iPhone and was tagged with great egret with fish, huntington beach state park, snowy egret, wood stork, wood stork in flight. 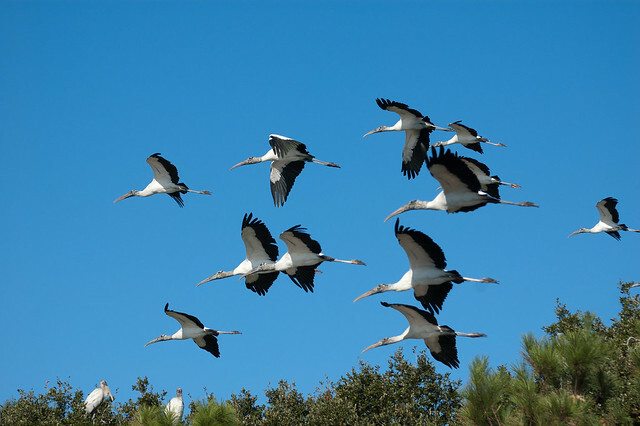 Hey aunt patty I cant believe that first picture you took of that snowy egret!!!! It looks sooo cool!! Wish I was there 🙂 Cant wait to see you at thanksgiving!!! !